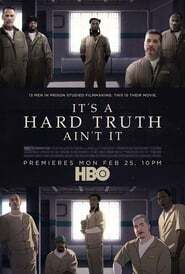 “It’s a Hard Truth Ain’t It” is a companion piece to “O.G.”, a narrative drama also directed by Madeleine Sackler. It is co-directed by thirteen men incarcerated at the Pendleton Correctional Facility in Pendleton, Indiana. Given unprecedented access to a maximum security prison, filmmaker Madeleine Sackler worked with a group of inmates to tell their own stories, giving rise to this collaborative, intimate documentary project. An Elvis Costello concert film with guest Emmylou Harris. This poignant documentary explores the unbreakable bond between multi-purpose K9s and their handlers. An intimate conversation between filmmakers, chronicling De Palma’s 55-year career, his life, and his filmmaking process, with revealing anecdotes and, of course, a wealth of film clips. A feature-length documentary about one of the most successful British bands in rock music.